Rachel Von | The Journal Gazette Indiana University Men's Basketball Head Coach Tom Crean speaks during a special dinner to support the ministry of Youth for Christ of Northern Indiana at the Parkview Mirro Center for Research, 10622 Parkview Plaza Drive, Fort Wayne, IN on Sunday. 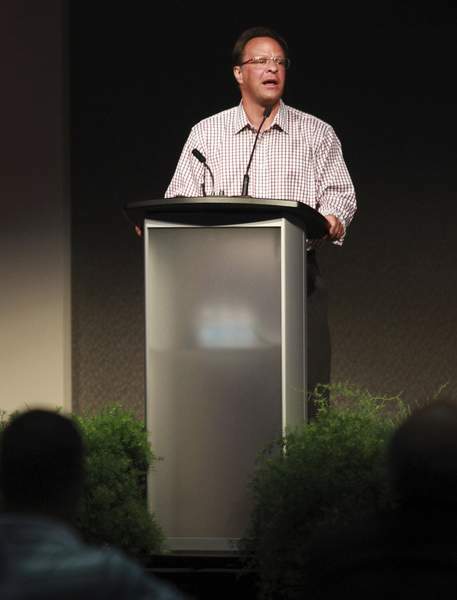 Rachel Von | The Journal Gazette Indiana men’s basketball coach Tom Crean speaks at the Youth for Christ of Northern Indiana dinner event Sunday. The passion Fort Wayne residents have for their community is one of the reasons Indiana men’s basketball coach Tom Crean said he enjoys visiting the Summit City so much. 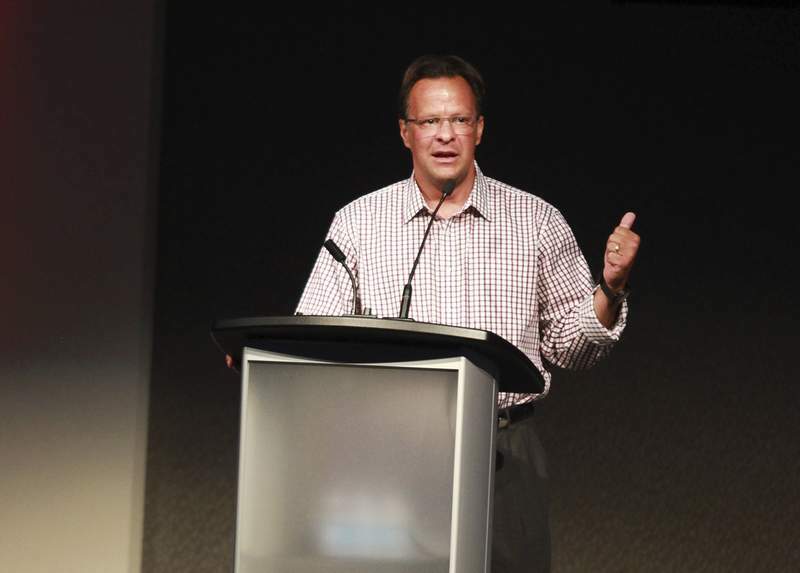 His latest trip wasn’t for recruiting, as Crean delivered a speech Sunday at the Parkview Mirro Center for Research and Development as part of the Youth for Christ of Northern Indiana’s dinner event. "I was honored when I was asked," Crean said. "They know they’ve got a good community here but really want to make it even better. "Fort Wayne never rests on its laurels, and it never takes anything for granted." That’s the same mentality Crean wants from the Hoosiers as they head into a season that carries high expectations. "We’ve been building great togetherness," Crean said. "We had a great spring. We’ve had a really good summer. We’ve gotten a lot stronger." Crean acknowledged the left knee operation for Fort Wayne native and sophomore James Blackmon Jr. was a setback in the team’s offseason preparation. "But hopefully it won’t set him back too much," Crean said. "He was having a great spring and summer." Crean said the cartilage repair, which isn’t expected to keep Blackmon out of training camp, is nothing compared to when the shooting guard tore an ACL at Bishop Luers. "You go through what he had to deal with when he hurt his knee, and recover as nicely and as rapidly and as effectively as he did, it is only going to make you stronger," Crean said. "He’s very strong." Indiana’s tentative plans for the offense this fall include using Blackmon as more of a ball-handler than last year. "He’s dove into what he can control," Crean said. "We dove into where he could work on his passing, his hands and a myriad of angles to throw the ball. We want it in his hands." Crean touched on various topics with the 2015-16 roster in his speech, saying Michigan transfer Max Bielfeldt has been a "tremendous leader" since joining the program and pointing out that incoming freshman center Thomas Bryant must add strength. But his main theme was religious Americans have an obligation to reach out and assist others, especially youths, in developing faith and finding the right path in life. 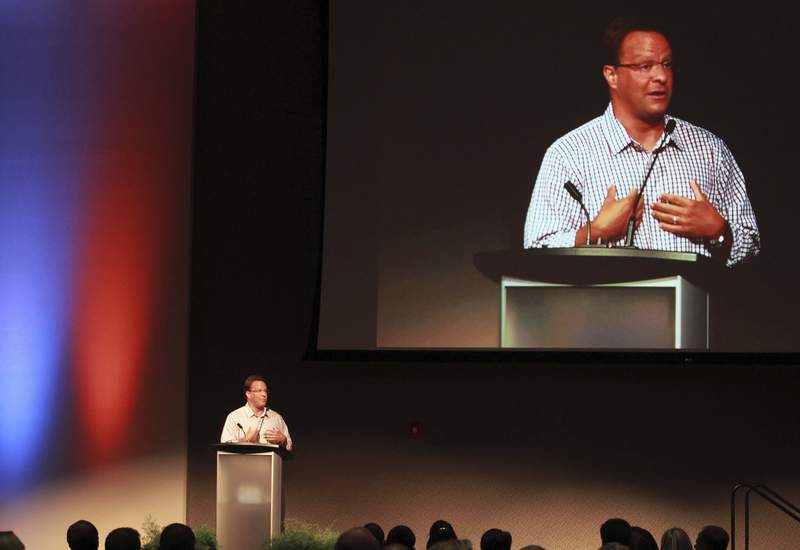 Crean used Fort Wayne as an example of the desirably tight-knit community. "You people are always supportive," he said. "You get behind your teams. You get behind your causes. You get behind each other." Crean, 49, often raised his voice, which sometimes broke with emotion, and by the end he had apologized for the length of the 37-minute talk. Youth for Christ of Northern Indiana CEO Larry Lance thanked Crean and said jokingly, "Next year we’ll work on your passion a bit." The organization tried to bring in Crean last year, but the schedule didn’t work. "Any time we can find somebody that has a story of faith, it’s huge," Lance said. "It puts a stamp of approval on what we do. It validates our cause of trying to help the kids in our community." Crean employed the Nov. 1 accident involving then-Hoosier forward Devin Davis as an example of how he learned even more about the importance of helping others. "I thought I was doing everything I could to help our team grow up," Crean said. "I have never had a more personalized moment of what I thought my role was. We went through our hard moments. We recovered."